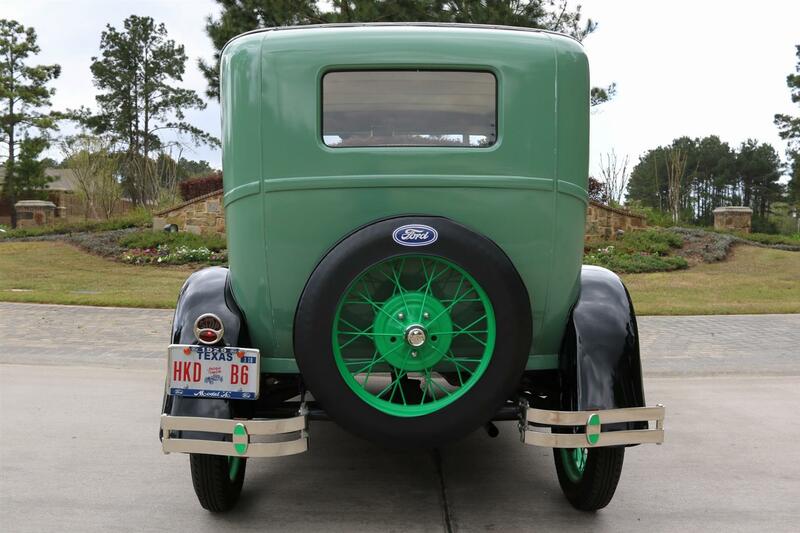 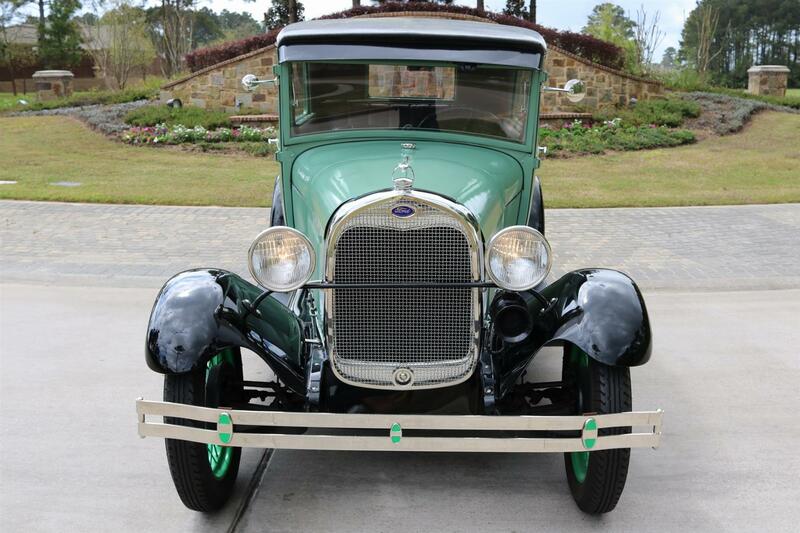 1929 Ford Sedan – Original 4 Cyl, 3 Speed, All Steel Body, Brand New Tires, Only 520 Miles Since Restoration! 1929 Ford Sedan – The Ford Model A (also colloquially called the A-Model Ford), was the second successful vehicle model for the Ford Motor Company, after its predecessor, the Model T. First produced on October 20, 1927, but not introduced until December 2, it replaced the venerable Model T, which had been produced for 18 years. 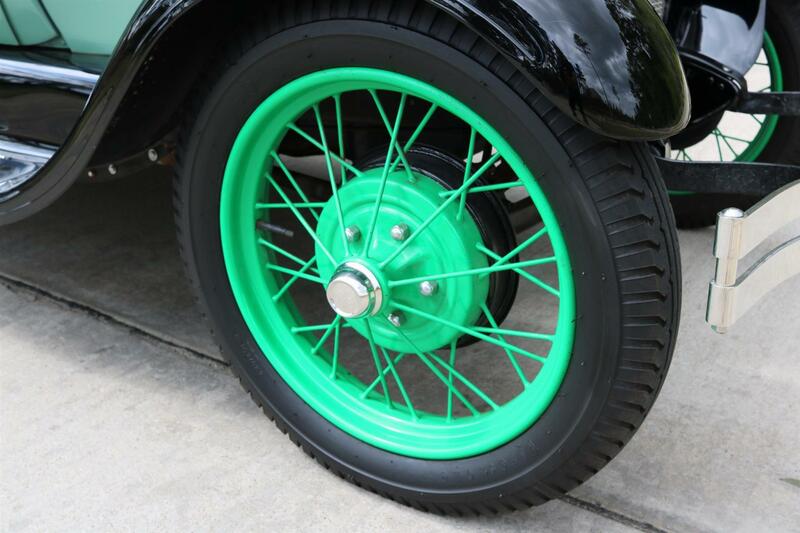 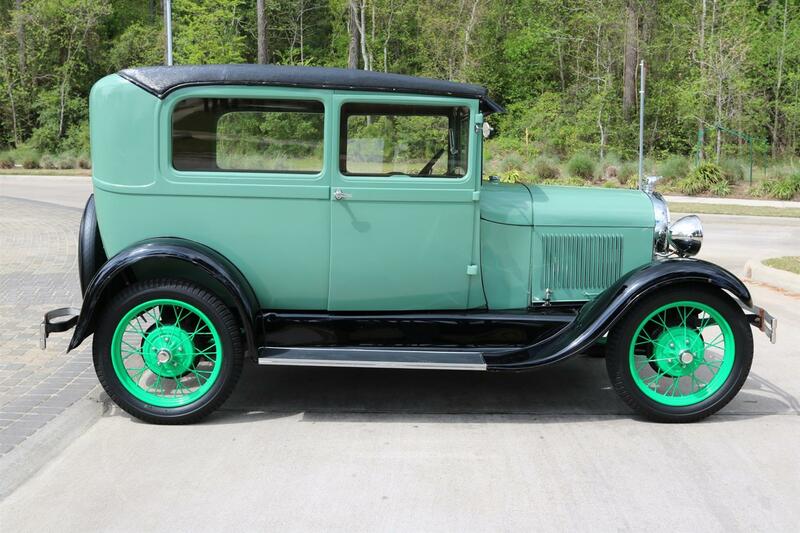 This new Model A (a previous model had used the name in 1903–04) was designated a 1928 model and was available in four standard colors. 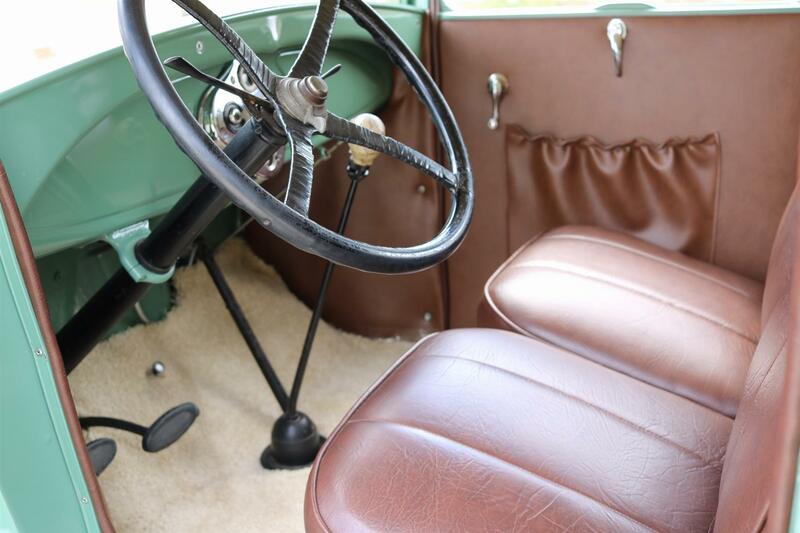 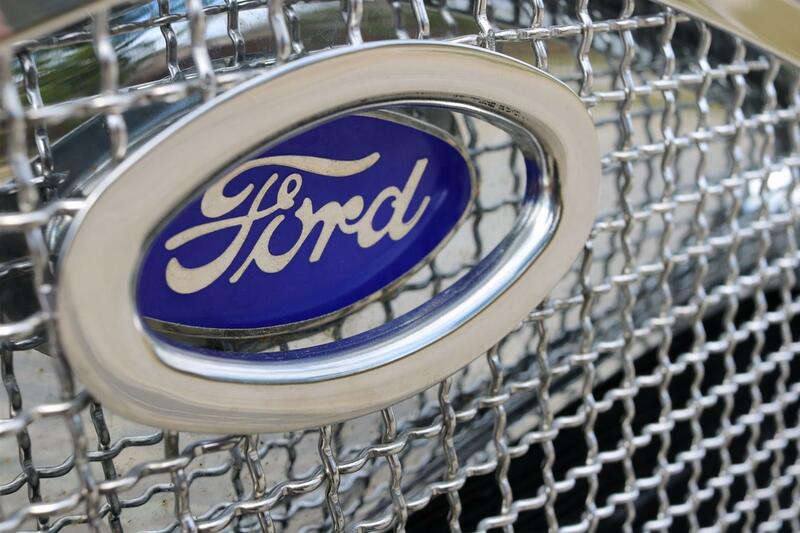 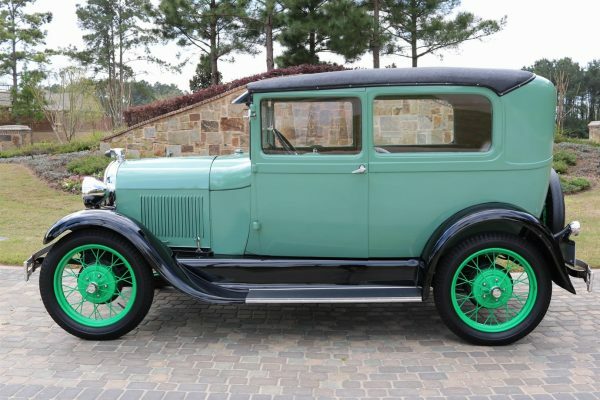 By February 4, 1929, one million Model As had been sold, and by July 24, two million. 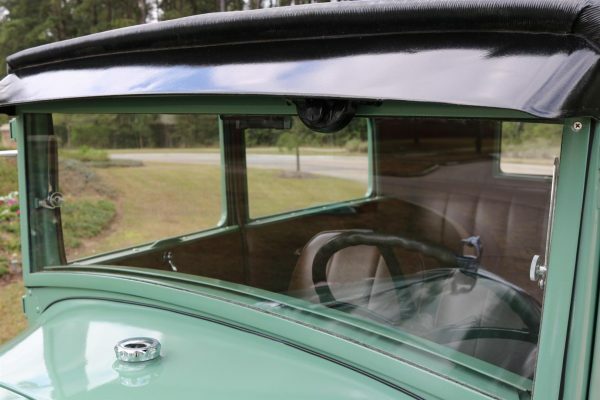 The range of body styles ran from the Tudor at US$500 (in grey, green, or black to the Town Car with a dual cowl at US$1200. In March 1930, Model A sales hit three million, and there were nine body styles available. 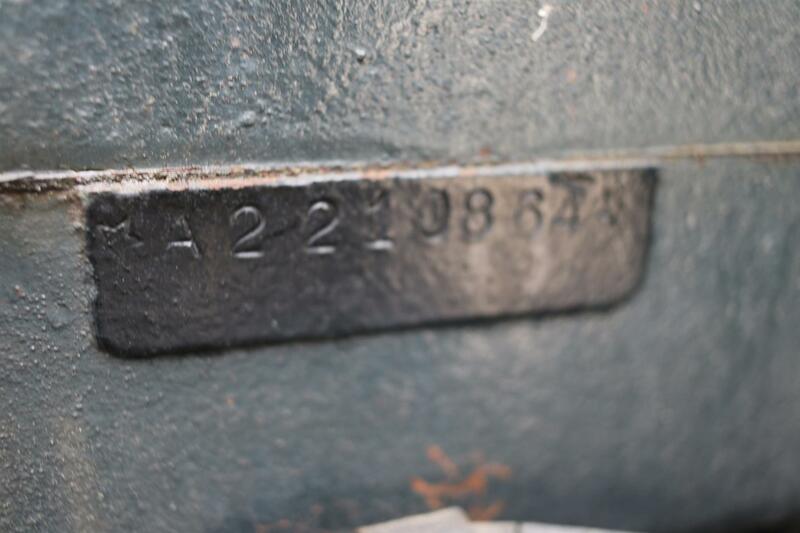 Model A production ended in March 1932, after 4,858,644 had been made in all body styles. 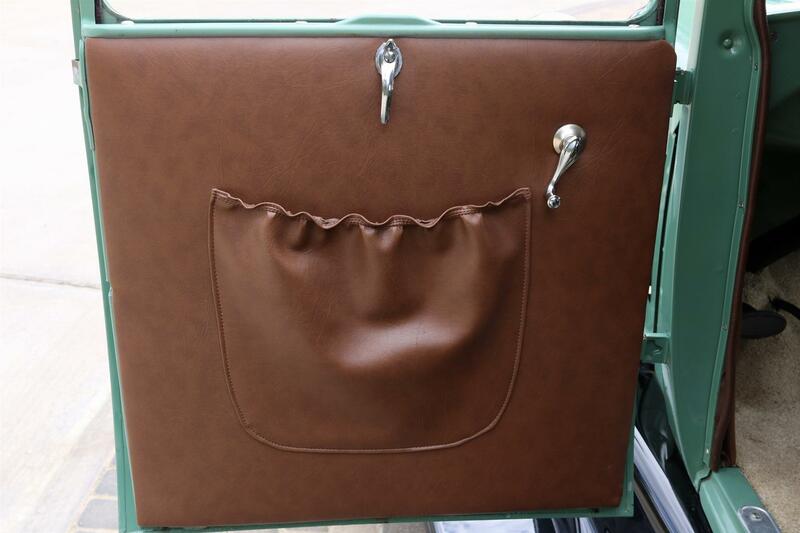 This beautiful Model A was restored in 2007 and has been used lightly for parades and weekend cruises. 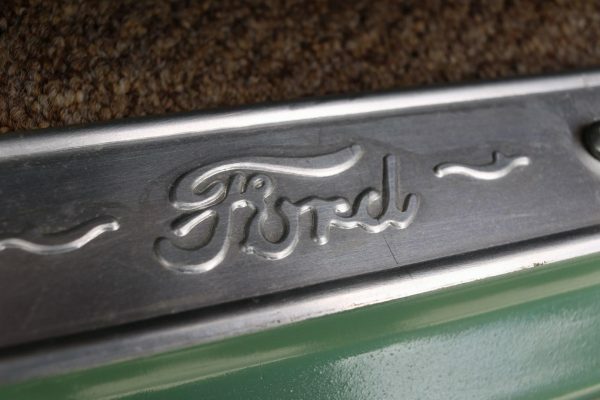 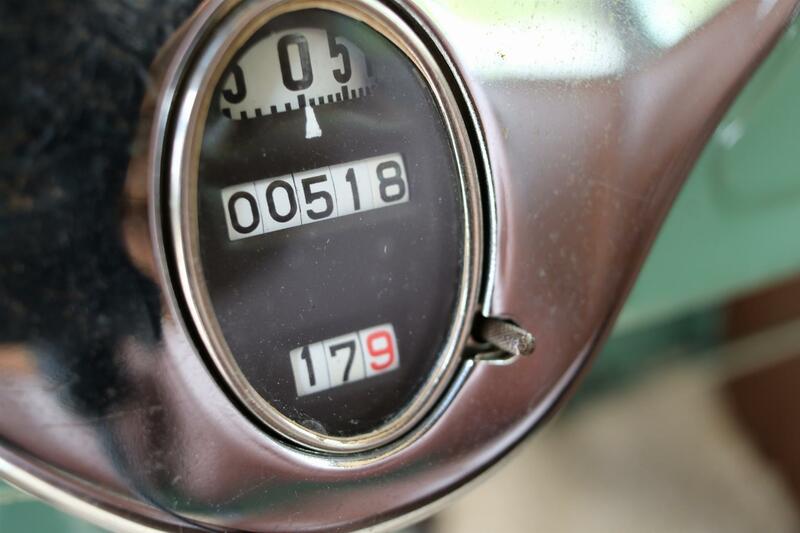 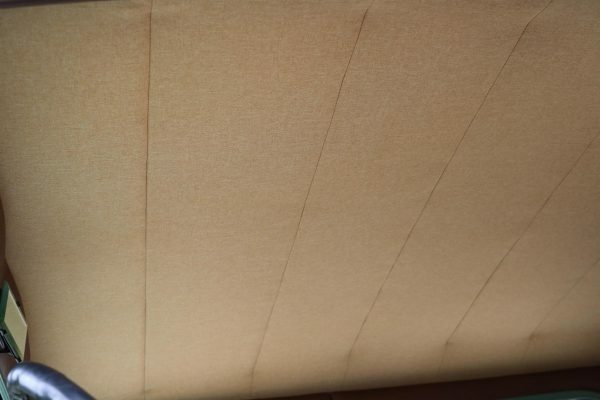 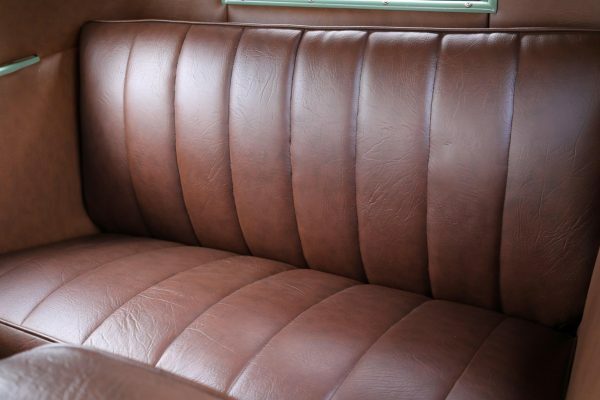 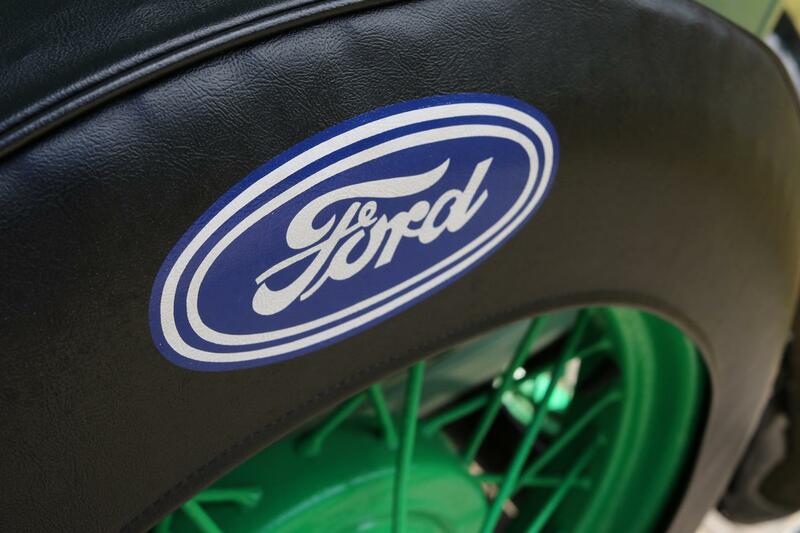 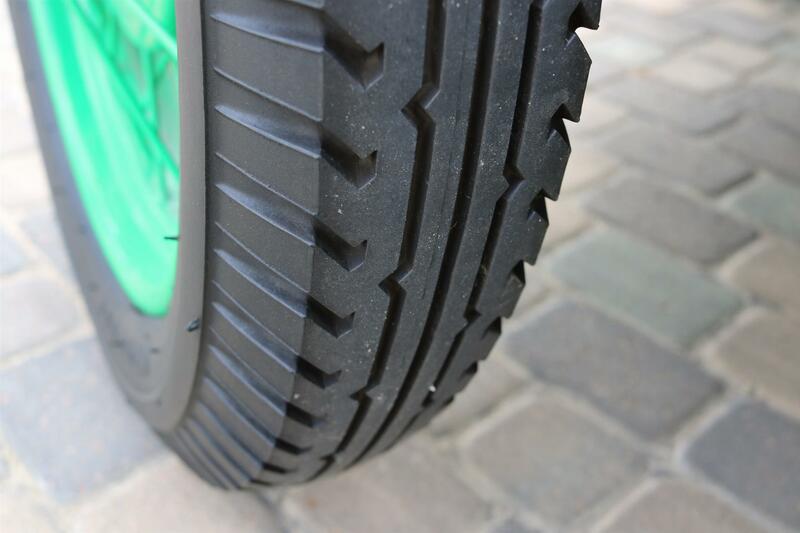 It has been used so gently that is has less than 520 miles over the last 12 years. 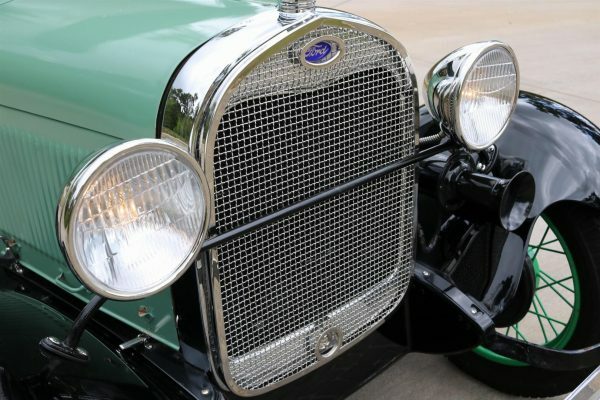 Unlike most 90 year old Model As you will find, this example remains highly original and features all its original steel panels. 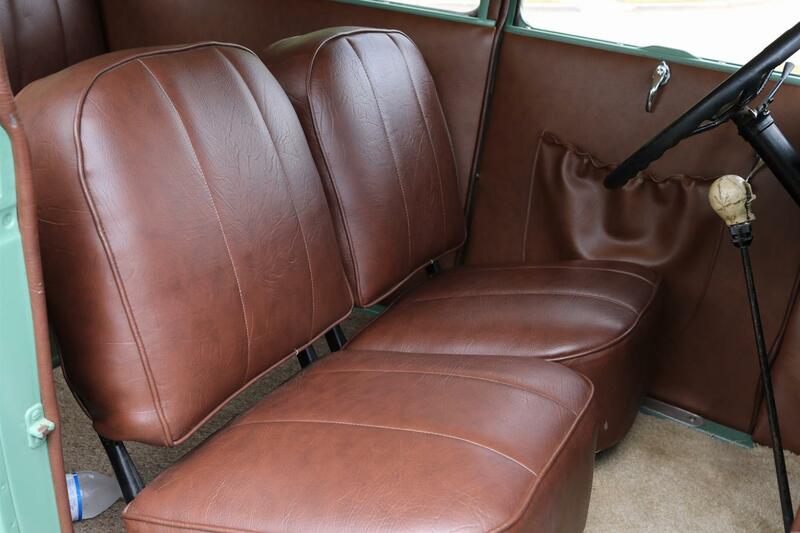 The paint shows extremely well and the seats still look brand new. 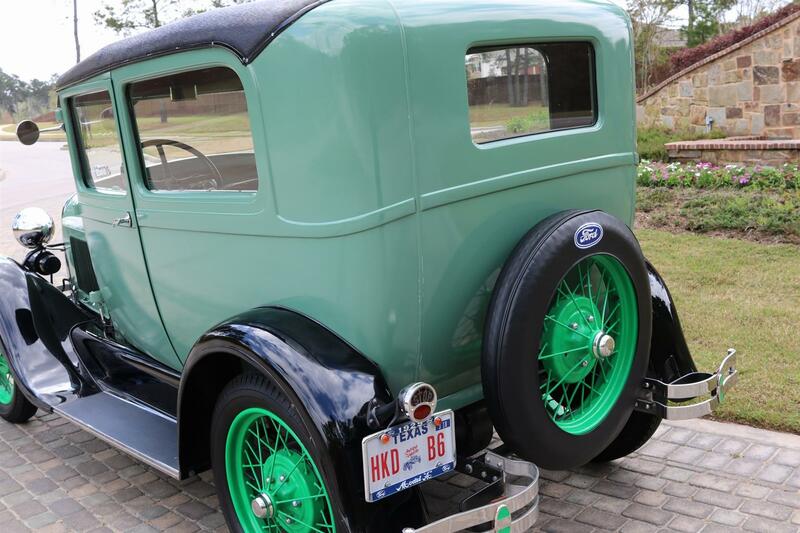 We have put approx 10 miles on this Ford since its arrival and are happy to report that it starts easily, shifts well, runs nicely, and brakes like it should. You will find small cosmetic items such as minor paint chips and carpet stains but nothing that exceeds a minimal amount to make perfect. 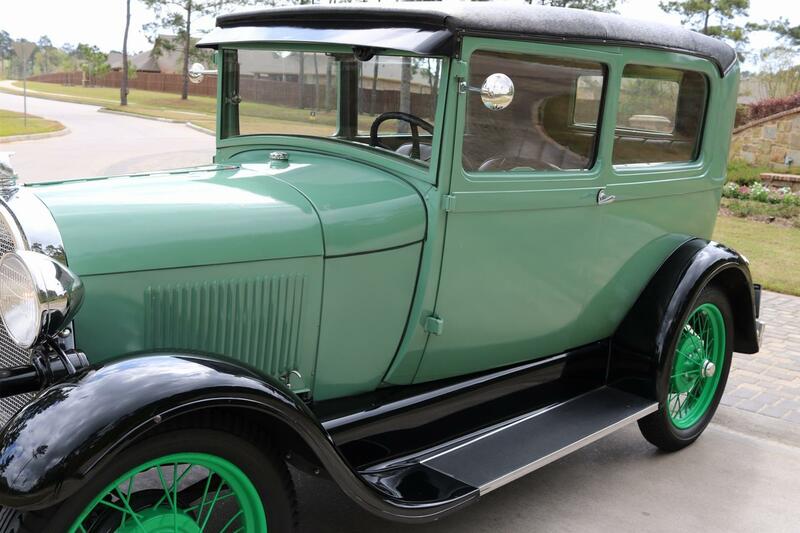 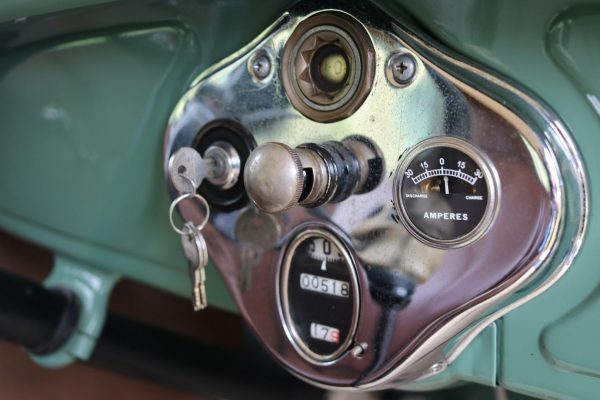 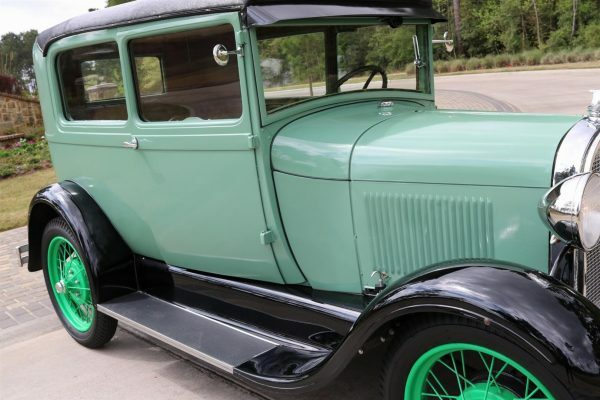 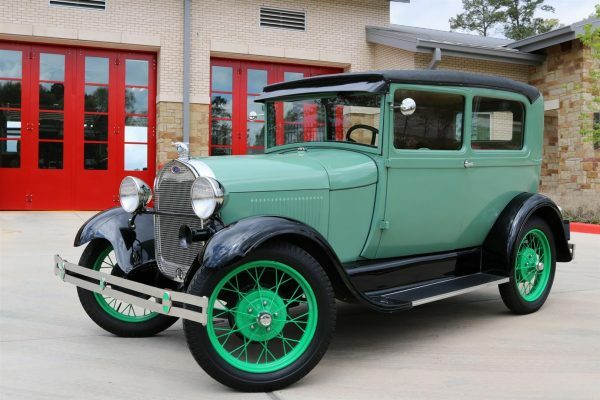 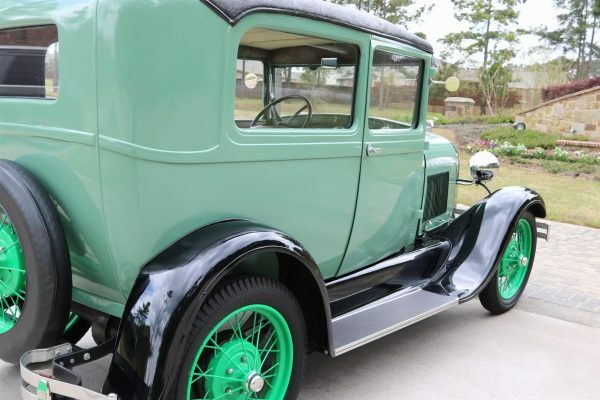 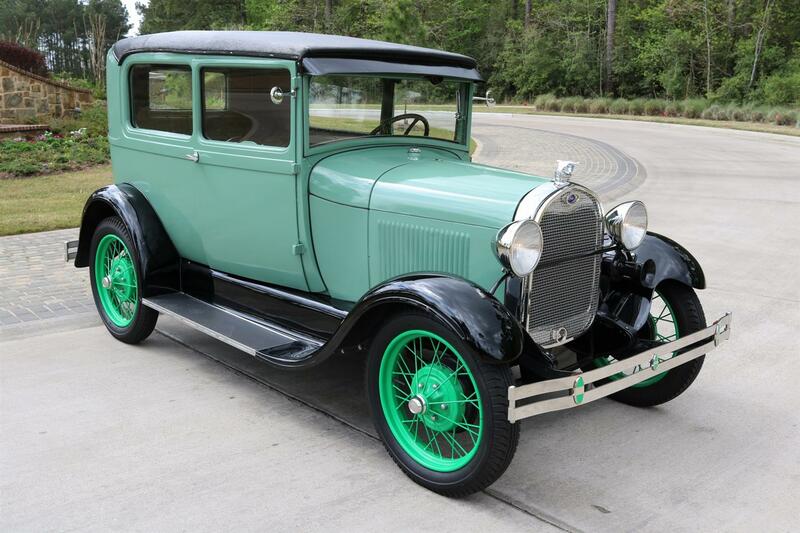 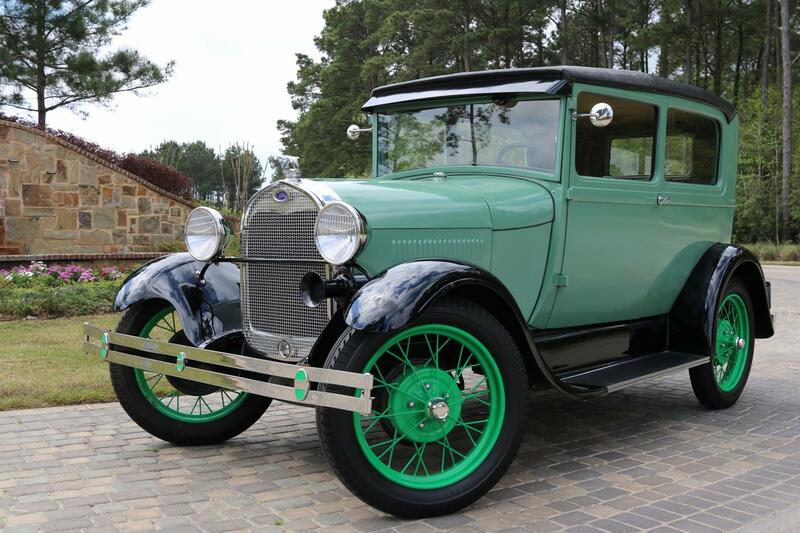 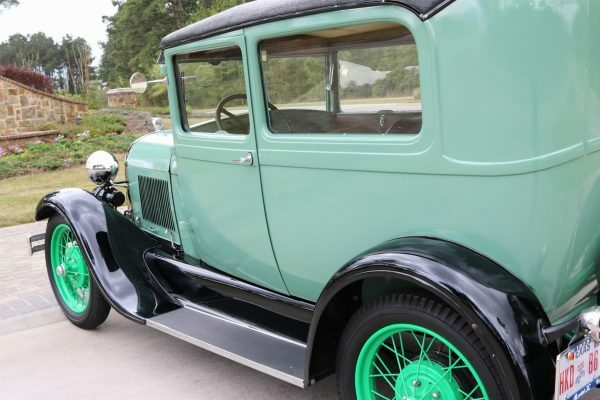 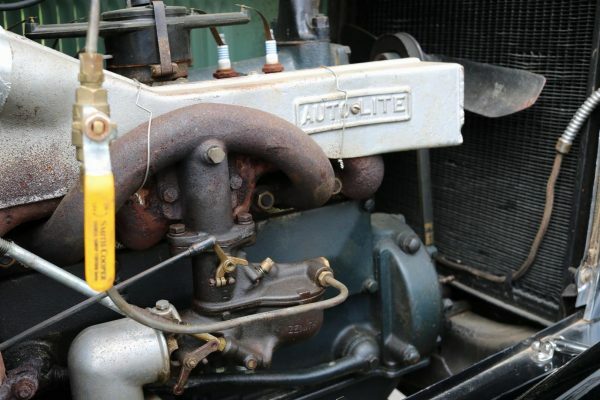 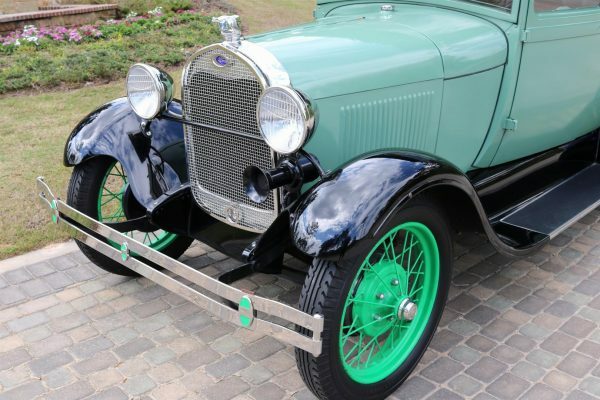 Features on this Model A include; Original 4 Cyl Engine, 3 Speed Manual Transmission, All Steel Body, Chrome Bumpers, Chrome Grill, Chrome Mirrors, Full Spare w/Cover, Original 21″ Spoked Rims, and Brand New Firestone 14.4/14.5-21 Tires! 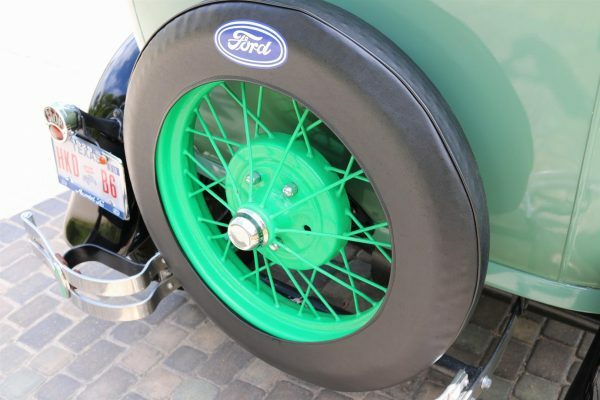 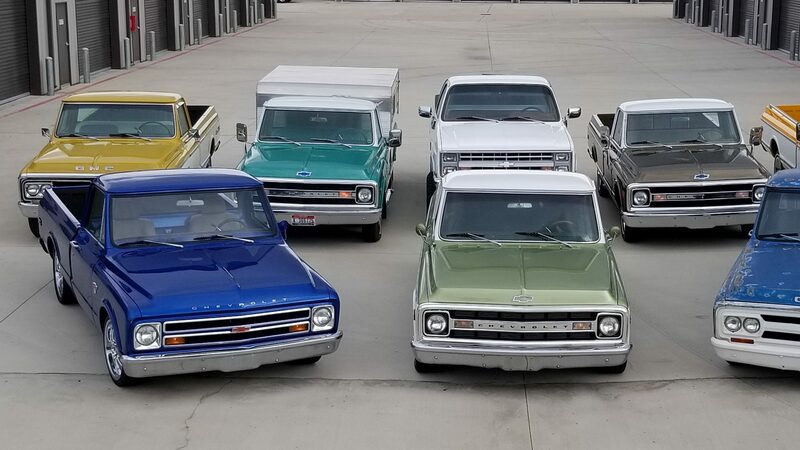 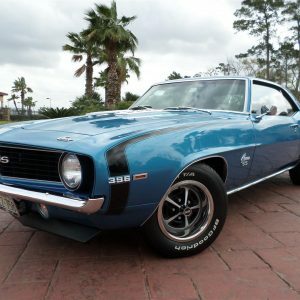 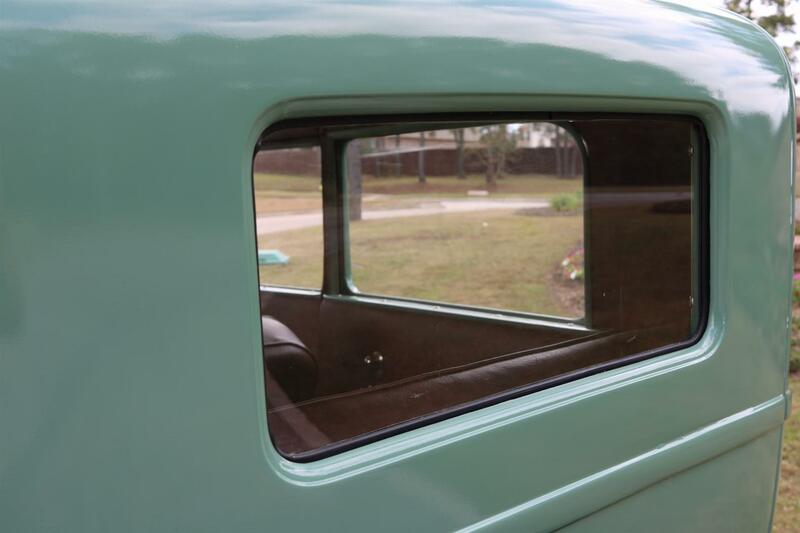 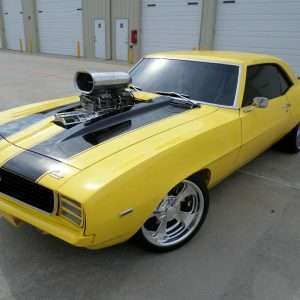 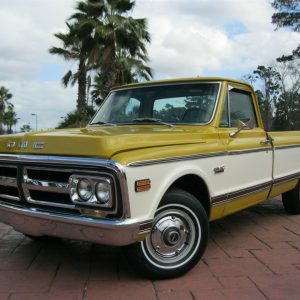 If you are looking for an inexpensive classic in a great color combo, look no further!